We have a parking garage under our building. There's only so many spaces and they're pretty tight so you really need to park between the lines to allow others to park. So I see this woman park her car in a space that's between two huge support pillars where there are three pretty tight spaces. The right side of her car was right on the line so there was no way anyone else could park next to her. So I said " Excuse me, but no one is going to be able to park in that space next to you there. You're on the line" To her credit, she moved her car. But the point is, if I didn't say anything or wasn't there, where she parked was going to be good enough for her but not for anyone else. 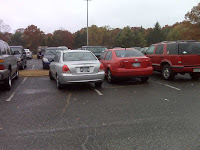 People who can't seem to get whatever they're driving in between the lines in a parking space pretty much fail at life. Think about it, if you can't take the two seconds to make sure you're not taking up more space than you need, you're a selfish pig. 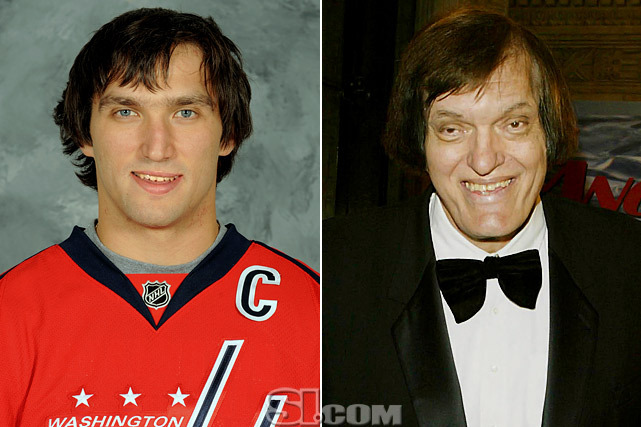 Washington Capital star hockey player Alex Ovechkin is a pig parker. 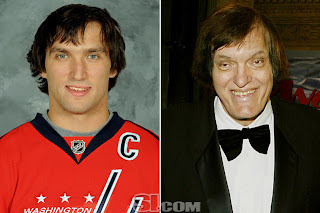 Alex Ovechkin (L) Actor Richard Kiel (R) Long lost relatives? If you're not familiar with Mr. Ovechkin, let's just say his play on the ice reflects his parking skills. He is, by all accounts, a great offensive player, but doesn't pay much attention to the defensive part of the game. It speaks volumes about a person when they don't care about anyone else but themselves. Look around, there's tons of people everywhere (at least where I live) and you really should make a conscious effort to respect other people's space. It ain't too much to ask people.